More than 280 people have been killed and more than a thousand people are injured after a tsunami struck coastal areas around Indonesia's Sunda Strait on Saturday (Dec 22). Scientists said on Monday that the collapse of a portion of Anak Krakatau, a volcano halfway between Java and Sumatra, triggered the killer waves. 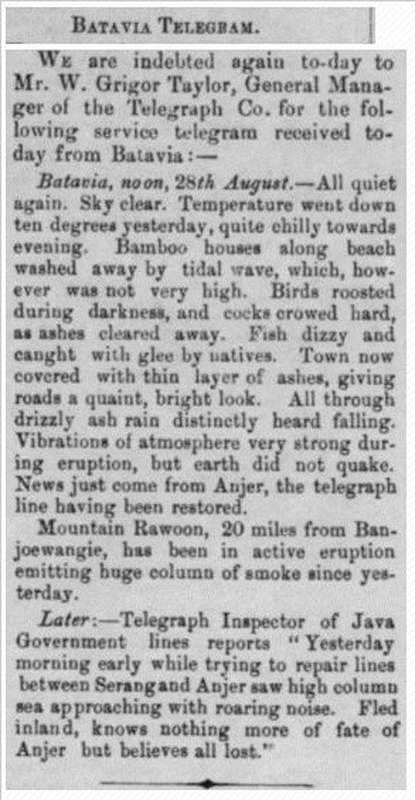 Krakatau had a major eruption in 1883 when the seismic activity began on Aug 26 and was reported to have continued until February 1884.